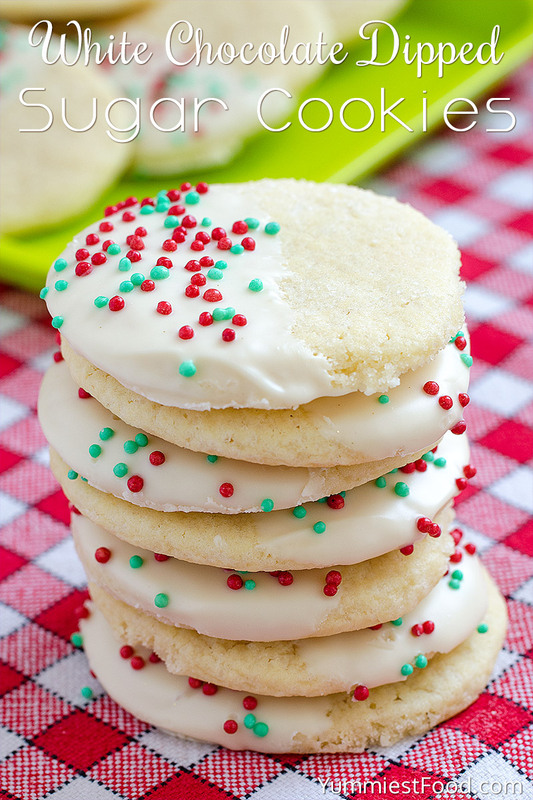 White Chocolate Dipped Sugar Cookies – a Christmas cookies must! 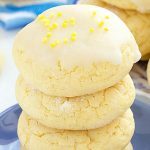 So delicious, cute and very easy to make.. You need only few ingredients for these White Chocolate Dipped Sugar Cookies! You need something tasty, quickly and very sweet for holidays so I think that I have right choice for you these White Chocolate Dipped Sugar Cookies. White chocolate gives rich flavor and with your imagination you can make nice decoration with red and green sprinkles. I am pretty sure that all of you have sprinkles at home because we were busy with decorating and preparing cookies for holidays so use these sprinkles and enjoy in these White Chocolate Dipped Sugar Cookies. You can make these cookies a few days earlier especially when you prepare some delicious dishes for holidays so this is one more reason to make these White Chocolate Dipped Sugar Cookies. Guests are coming and you don’t have enough time so you can make these cookies which taste very good and look fantastic on the plate. These are one of my favorite cookies and I made them in many different ways with different chocolate and they were delicious too, but I prefer white chocolate in combination with red and green sprinkles this is my favorite option. I have made my Christmas Shortbread Cookies for Christmas too and you can make them with only three ingredients. These White Chocolate Dipped Sugar Cookies are very easy to make so your children can help you to make them especially decorative part. 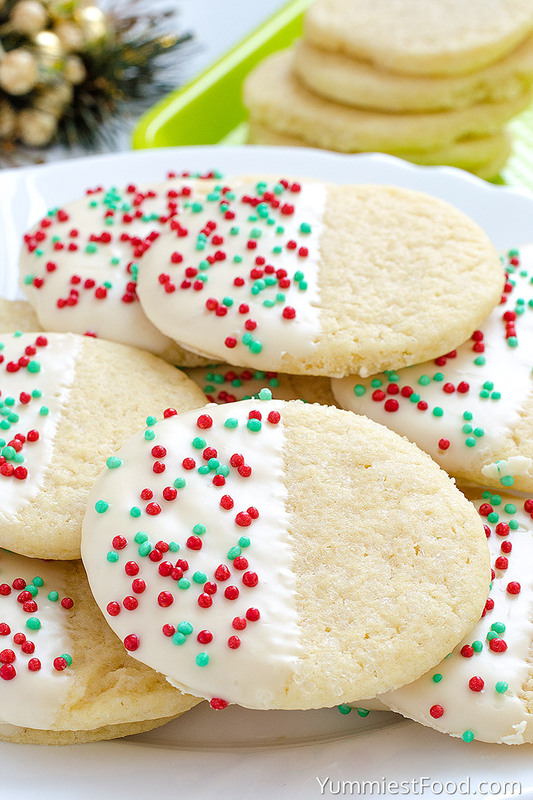 Every time we make these White Chocolate Dipped Sugar Cookies we eat them immediately. 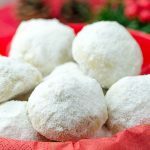 Now, when your holiday preparations are over I can wish you to spend holidays in peace and harmony with your friends and family and to enjoy in these delicious White Chocolate Dipped Sugar Cookies. 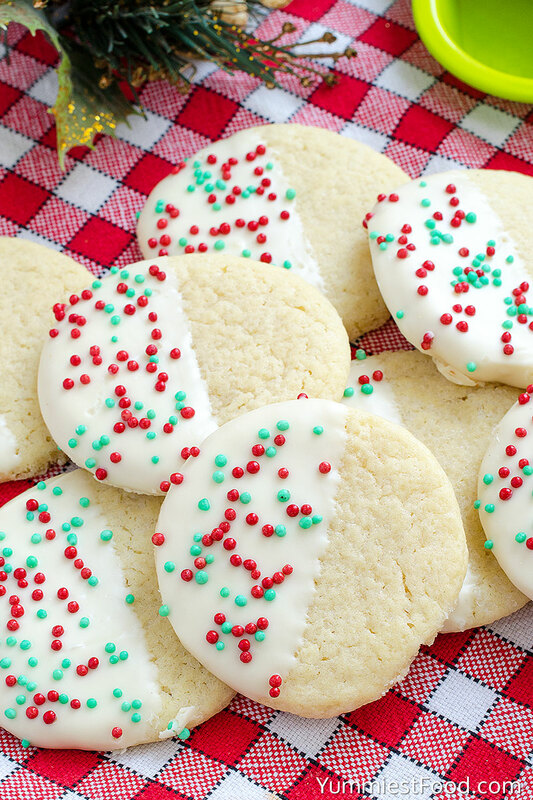 White Chocolate Dipped Sugar Cookies - a Christmas cookies must! So delicious, cute and very easy to make.. You need only few ingredients for these White Chocolate Dipped Sugar Cookies! Place chocolate chips and shortening in a medium microwave safe bowl and heat in microwave on 50% power in 20 second intervals, stirring well between intervals until melted and smooth. Allow to set a room temperature. Yummy! 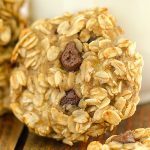 Easy to make and way too easy to eat! Can’t wait to try this recipe! How many cookies does a batch make? Hi Alyson, you can make about 28 cookies. Happy baking!